As broadcasters and programmers adjust to audiences’ changing tastes, one fact remains clear: TV is valuable. Advertisers reach a larger audience through TV commercials than any other medium. That is true in the legal services field. In 2015, law firms ranked #6 in the Top 20 Broadcast Advertisers. That represents a 68 percent growth in the last eight years alone, outpacing other advertising spending between 2008 and 2014, a period in which ad buys for other industries fell flat. During that same period, law firms doubled their share of local spots and quadrupled their share of syndicated TV ads. Simply put: law firm television commercials are booming — and they’re booming because they work. Surveys show that the local law firms people are most familiar with are the ones they see on television most often. That is the power of television. Television exposure is effective, and at the local or regional level, you can leverage that power for your firm at an affordable rate. TV advertising works. Nothing is more powerful than television — and nothing will have a bigger impact on your business. As with any legal marketing tactic, television advertising is a long-term investment. And long-term investments yield their highest returns when they are executed with research and strategy. That’s what we offer at Network Affiliates. Affordable, strategic, and effective television campaigns that expand your practice and deliver measurable ROI. That message used to work, but it doesn’t anymore. The market is inundated with conventional commercials from carbon-copy law firms, and all viewers hear is long names and noise. Network Affiliates emphasizes standout messaging and state-of-the-art, Super Bowl-worthy production values. We believe in the value of competitive research. But the point of studying your competition isn’t to copy what they’re doing — it is to stand out. 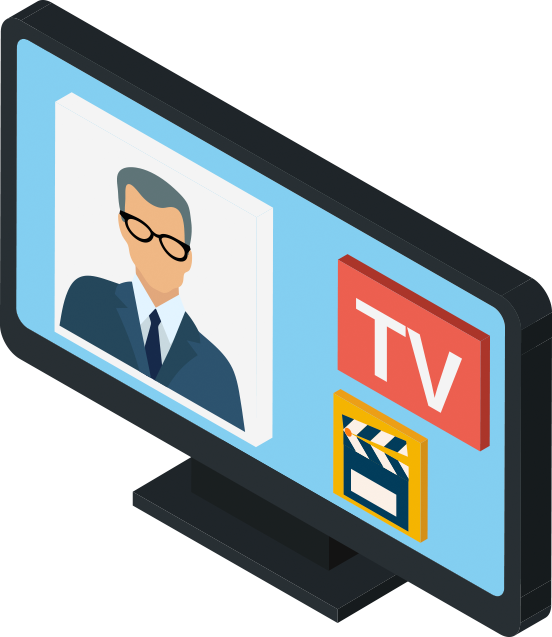 Network Affiliates produces state-of-the-art television commercials with messages that are about the audience’s needs, not the lawyer’s biography. And they work. Explore your firm and understand your unique message. Trust us: every firm has one. Intensively research your competitors’ ads and develop ads that stand head and shoulders above theirs. Your ad will be the one that people remember. Ask for what you want. Too many firms beg for copious inquiries and they end up with countless calls from people who don’t have a case. We identify the kind of case you want to attract, and we cleverly tailor our messaging toward that goal. Deliver production values consistent with Hollywood’s best— not the typical “local-looking” fare that too many firms have settled for. Learn more about our approach to cutting through the clutter in TV advertising. By catching viewers off guard, we earn our audience’s attention and communicate a message they won’t forget. Television commercials are a boon to businesses because they impact audiences in different ways with the same message. Commercials express sight, sound, and emotion. They also give viewers an almost-unconscious sense of how credible you are. You Get What You Ask For — It costs just as much to invite low-value cases as high-value ones… but as you know, the return on those is vastly different. Our commercials target the kinds of cases that your firm wants. That isn’t the same for every practice. But whatever your goals may be, TV ads are incredible opportunities, and you ought to make the most of them. Top-of-Mind Awareness — It is one thing to advertise your services after a prospective client needs you. It’s quite another for that client to automatically think of you in their precise moment of need. That’s what television does. Repetition is the Key to Learning — Scholars in the field of education have consistently found that repetition is one of the most effective teaching tools. The human mind is hard-wired to respond to repetition. Television commercials owe some of their success to the fact that, by their very nature, they impact audiences on multiple occasions. Overcoming Ethics Rules Setbacks— Relative to most other lines of business, law firms are at a disadvantage in advertising. Noble as they are, the ethics rules promulgated by your state bar likely restrict your ability to solicit clients to some considerable degree. Wide-net advertising, though, is not only permissible but also effective. There is a reason that TV advertising is so common among attorneys — it provides an effective counter to the marketing limitations inherent in your profession. At Network Affiliates, we are active in ensuring that all of our TV advertising for lawyers is compliant with the applicable rules of practice, and we welcome your partnership in that effort. Right Place, Right Time — Television is everywhere. Living rooms, sure, but also retail floors, doctor’s offices, hospital rooms, and more. A well-placed ad can mean a multi-million-dollar case. Essential to any media buying strategy is the goal of reaching viewers in the right place and the right time, relative to your specific field of practice. Building Relationships — Commercials create a direct connection between the attorney and his or her community. The value of a personal relationship cannot be overstated. Just as TV viewers feel that they “know” celebrities and the fictional characters they portray, viewers will come to “know” you and your firm too. Television is remarkable in its ability to foster a sense of intimacy, and we custom-craft our campaigns to make the most of that. At Network Affiliates, we have years of experience executing TV campaigns for law firms and getting big results. We know what we’re doing, and we believe we can deliver the results you’re looking for. One Size Never Fits All. TV commercials aren’t baseball caps. One size can’t fit all. A spot that worked well in one market might not make sense in another. Different lawyers bring different assets to the table, and each firm has its own unique messaging and branding. At Network Affiliates, we offer customized, creative, and individualized advertising. Your campaign will be unique, true to you, and effective. From syndicated spots to full-throttle and one-of-a-kind campaigns, we understand that television is what you make of it. Talk to People, Not Lawyers. Think back to your daily diction in the days before law school. As you might recall, lawyers don’t always speak in “the people’s vernacular.” That’s okay! But “legalese” isn’t effective in advertising. Likewise, commercials cannot and should not become treatises on the law. You have a few seconds to make a memorable impression and a meaningful connection. It’s an emotional proposition. Testimonials, humor, and family values are just a few examples of effective forms of TV advertising for lawyers. At Network Affiliates, we orient each spot toward the people you hope to attract. Always Stand Out. The world is short on many things, but lawyers aren’t among them. As you already know, you have a lot of competition, and many of those firms are on TV too. Your commercials, then, must make you stand out. Lawyers may be everywhere, but attorneys who are passionate, personable, and really good at what they do are much harder to find. People understand that, and we tap into that common consensus. Our goal is always to craft a compelling, authentic, stand-out campaign. That Which Looks Expensive Need Not Be Expensive. At Network Affiliates, we employ our very own in-house creative and production teams. That means we own all of our own equipment, a decked-out in-house production studio, and several on-site editing suites. We also employ a seriously talented production team that has worked in marketing and film production all around the world. Our services are affordable, but our products look like they command enormous budgets. The ability to portray high-end production values at a low cost is one of the most enduring tricks of the trade, and we have it on lock. Ready to build your business with some of the sharpest and most memorable advertising in your market? We’re Network Affiliates, and we can make a difference in your bottom line. Please contact us right away to talk about our affordable TV advertising for lawyers and to learn more about how we can help.